I woke this morning and noticed the chill in the air. It’s October folks, and we’re that much closer to shred season. The shred flick premiers have been rolling through, but here in NYC we have a lil’ until the next one (Burton’s Standing Sideways on Oct 13th.) No worries though! I’ve dug up a few flicks for you in the meanwhile. 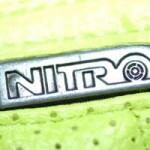 Nitro’s is a good mix of styles, but features a lot of rails and big air. Head over here and check it out. The City’s movie is a straight street flick… alleys, staircases, parks… you get the point. Now, I tried to stick to full features here, but when I came across this I couldn’t help but put it up. 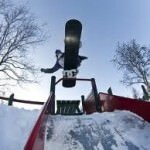 Check out the Nike 6.0 and Monster’s colabo on “Sexual Snowboarding.” There’s a lot going on here: jibs, girls, rails, girls, big air, girls, doctors… just watch it and you’ll see what I mean. Hope this can tide you over for a few days! This entry was posted in Film, Video, and Media, Lara's Blog. Bookmark the permalink.